Ingredients t that identify the way of life in the county up to the middle of the 20th century: Caldeiradas de Peixe, Fried Fish of of the River, Stew, Migas, Lamb Meat and the Conventual Queijinhos do Céu made by the Nuns of the Clarissas Order which can be tasted in the Café da Praça. 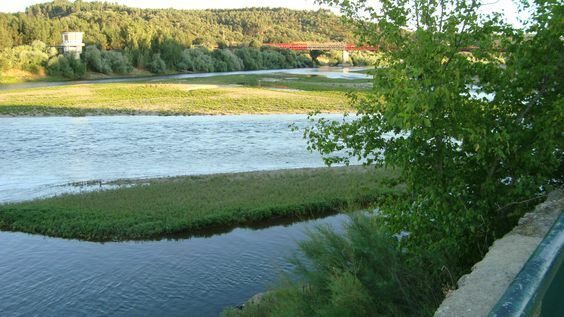 - The confluence of the River Zêzere with the Tagus River offers a unique beauty, being the origin of the first name given by the Romans PugnaTagi- the struggle of the Tagus, which was agglutinated in the word Punhete until D. Maria II changed its name for Notável Vila da Constância by royal decree of December 7, 1836. The charm of the streets and flower-filled corners; Parks and Viewpoints. The Religious and Public Heritage; the Living Science Center and the Environmental Park of Santa Margarida, the Heritage linked to the permanence of Luís de Camões - the greatest portuguese poet. The passage of the Third French Invasion and marks were left. Outdoor activities, such as canoeing, hiking, identification and enjoyment of nature, trails on the Zêzere Route and the Tagus Paths are attractive attractions called Active Tourism. The existence of castles, such as Abrantes, Almourol, Tomar, Ourém, enrich any route of Military Tourism. Small places that breathe history; small and sometimes luxurious hotels, which have not lost the tradition and maintain a family or traditional atmosphere with it's paintings, piece of arts, carpets, portraits, fire-places; new ways of being; fashion and technological innovations; fairs and exhibitions. These and hundreds of other motivations that lead the movement of people to establish contact with other cultures. This is called Touring, inseparable from the universal culture. Celebrate your birthday where you dream about. Get knowlegement with other people.Live another moments. CP - Train Portugal will reissue from this month until the end of April, the Lamprey Rute of the Tagus 2017 a gastronomic promotion Beira Baixa , intended primarily to give this oportunity to the lamprey lovers in the region. According to information of the CP, the program includes round-trips in regional or Intercity service trains (with extra stopping at Tancos and Dam of Belver during the period of its realization). 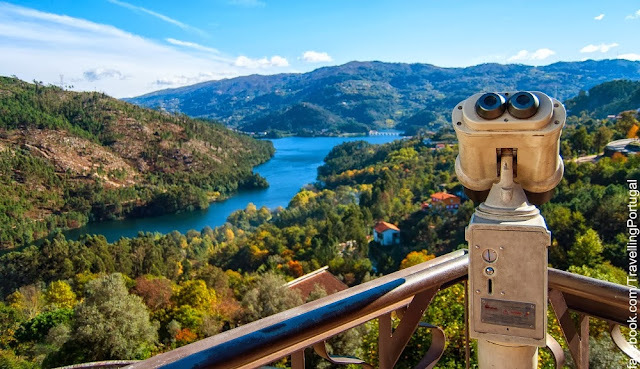 It includes the ability to book lunch at a typical restaurant the Almourol in Tancos, the Lena, O Castelo, Saboresd da Gudintesta by the Belver dam and at the Inn Portas de Ródão in Rodão. The groups formed by ten or more members who choose to travel on trains Regional service, have a reduction of up to 40% on the purchase of travel . If the choice falls on Intercity trains, this reduction can reach 50%. "During the sixteenth century appears the custom of sending the young English aristocrats to make a Grand Tour at the end of their studies, in order to complement their training and acquire certain experiences. Being a journey of long duration (between 3 and 5 years) which was done by different European countries, from this activity are born the words. tourism, tourist , etc. " The news of the steam engine reaching 62 miles per hour was the topic of conversation between the couple O'Connor with the Smith family who lived in Liverpool and had their older children studiing at the famous University of Oxford . "Let's make a tour to Oxford to visit our boys. It will be exciting". "This will be an emotional journey. If this is true, in 3 ½ hours to 4 hours will be embracing our children", said Mrs. O'Connor. We were in 1835 , the year of emotions in the transportation of passengers to whom, until then, even to the most advanced minds for the time, 62 miles per hour was an uninconceivable speed. Since 10 years ago that the fastest known locomotive reached 19 miles per hour. Since the beginning that human been felt the need to travel out of his permanent residence for several reasons: Economic, Social, Religious. Today the main motivation to travel is to find emotions that lead to the objective of the trip and stay in the tourist destination that he has selected. It is our intention to cause an emotional immersion in the life of cities and places that you visit. Of the many variables that influence the decision to choose a destination holiday or for a short visit, we highlight what we consider the main ones: novelty destination, accessibility, safety, price, environment. Analyzed these variables, the tourist equates to better meet their motivations, which can be relaxing, sunbathing, shopping, observe nature, photographing landscapes and monuments, gastronomy, feel the rush of climbing a mountain or canoeing down a river. In addition to more standard criteria like unspoiled natural beauty and authentic cultural experiences, conscious tourist is concerning about : environment protection, social welfare, human rights, and, animal welfare. In other words, eco-tourism considers the quality of drinking water in the category of environmental protection, womens rights in the category of human rights, and so on. The positive result of several variables leads to positive emotions that become a constant will to travel (constancia of travelling), having as target the last one or restart the selection process. Ancient villages as Constancia, called by the Romans Pugna Tagi , struggle of the Tagus against the waters of the Zêzere River are fertile in positive emotions that contemplation, relaxation, history, potentiate. It is worth staying here for a few days and get involved in local traditions. To develop this site, which aims to provide several choices to tourists, according to their motivations and perceptions, information was gathered from several strategic tourism products defined ITP (Instituto de Turismo de Portugal), as well as texts from Wikipedia and research sites in the regions of each country. * In the links that appear in several modules, you can make reservations for tourist accommodations, and transportation in some cases. The Tab SPOTLIGHT contains links to portals products inherent to many tourist motivations, international Events, Fairs and Exhibitions. * You do not need any registration or login to browse our page. * The server where the domain constancia.net is hosted does not store any personal or professional Internet user information..
* When you leave this site and enter the window of tourism services provider or shopping (air, hotel, car, shop, etc.) a business relationship between the new site and Internet users starts, from which we are excluded. We are glad to provide any clarifications you may need. For this, see our contacts in the upper right.